The company has invested £1.5M in two purpose-built, fully compliant, Ex Zone 0 rated machines; one designed to de-sludge, wash and clean large scale tanks and a second, lightweight and highly portable compact unit suitable for use on smaller sites and underground storage tanks and containers, including petrol forecourts, interceptors and process tanks. 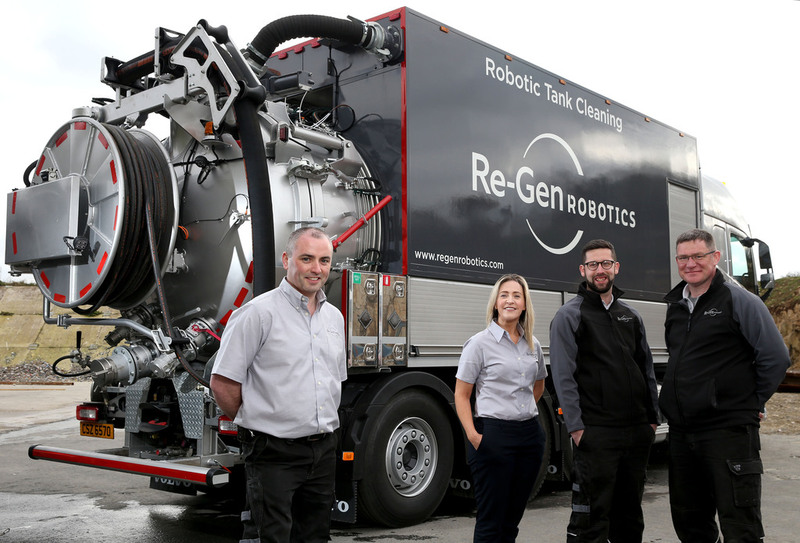 The state of the art, automatic tank cleaning system will eradicate industry fatalities in the British Isles, eliminating human exposure to Confined Spaces and hugely decreasing all risk categories. 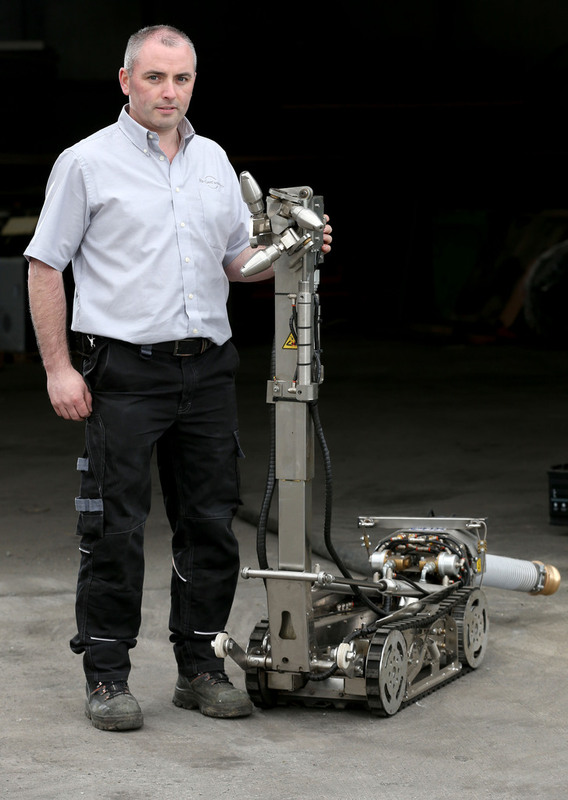 There are 25 avoidable deaths within confined spaces in the UK and Ireland each year due to hazardous works, manual tank cleaning methods, which remains common practice. 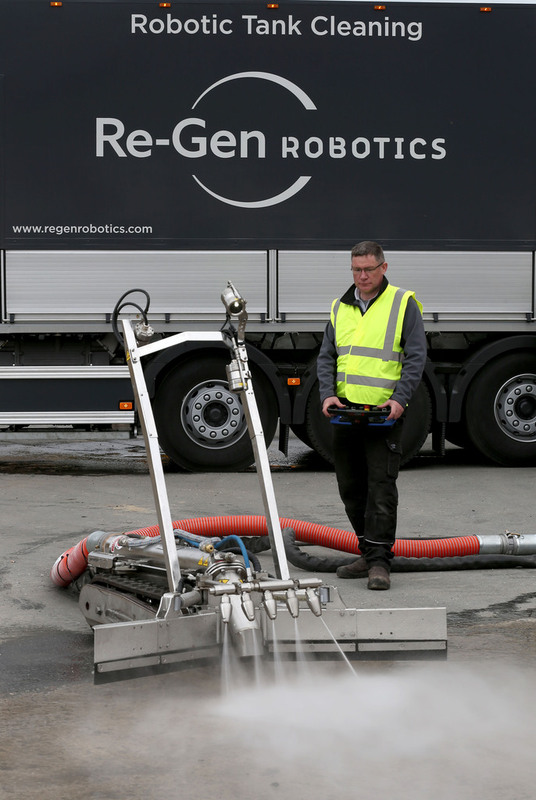 Re-Gen Robotic’s closed loop cleaning system is fully compliant with existing safety legislation and can reduce cleaning time by up to 45 per cent, significantly decreasing downtime and loss of production whilst the facilities are not operational. 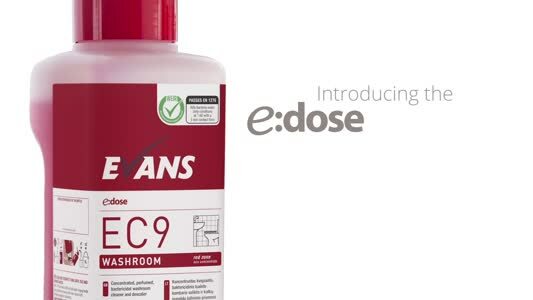 The Ex-zone rated equipment is effective, reliable and provides predictable cleaning times, meaning the tank is brought back into operation quicker and reduces the need for additional tank capacity, permitry delays and additional support teams. Fintan Duffy, MD of Re-Gen Robotics, said: “Traditionally, personnel entering into confined spaces to perform cleaning prior to inspections has been the only way to implement a detailed legislative inspection, de-sludge or clean for product change. 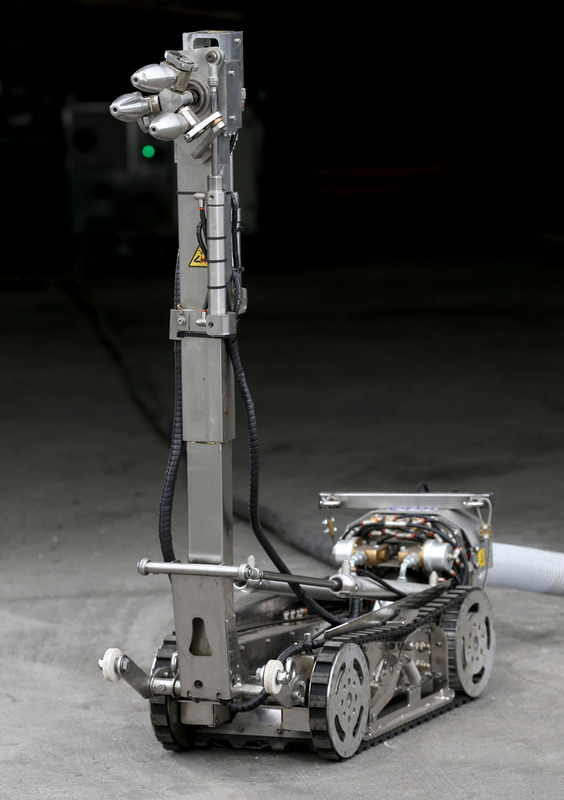 There are inherent risks to entering a hazardous confined space and although safety regulations and standards are high, occasionally accidents occur, due to the likelihood of human error or failure of safety devices. Mr Duffy said: “Companies cannot afford to be negligent where human life is concerned. 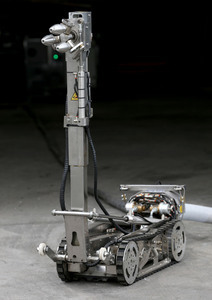 As well as the obvious tragedy and impact on family when a life is lost, there is a negative impact to companies associated with loss of life through confined space working; there is damage to organisational reputation, company and shareholder value and the risk of corporate manslaughter charges to consider. 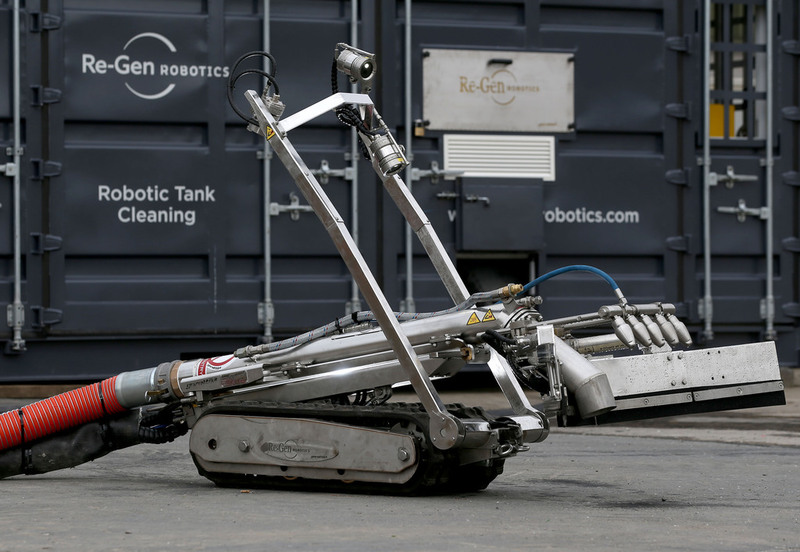 “There is no human exposure to sludge or waste materials during the cleaning process and once cleaning is complete, the robot safely washes itself down, exits the container via its ramp and is returned to the control unit. 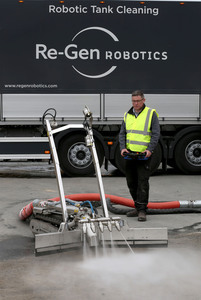 “At Re-Gen Robotics what we have created is truly game changing conditions for the Tank Terminal Sector. 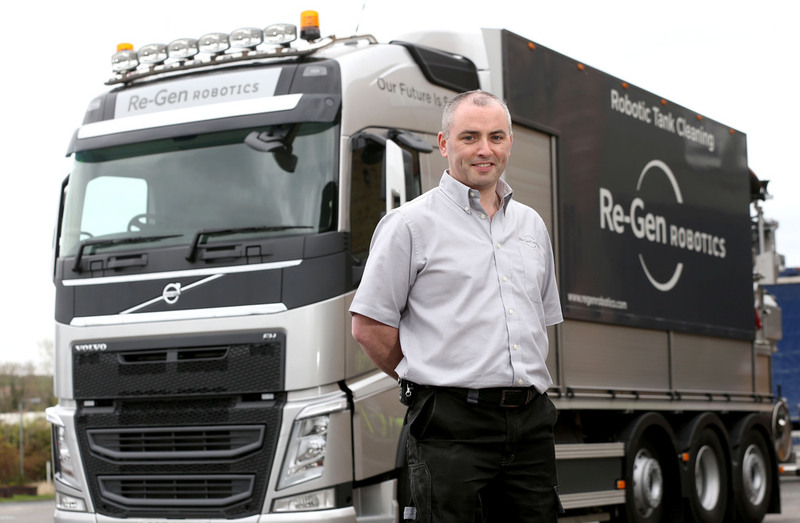 The economic, environmental and safety benefits are extensive and the market is embracing our innovation,” Mr Duffy said.